»Another PRforLAW, LLC national media win for a small law firm. Kenney & McCafferty, P.C. represented the key relator in the Amgen settlement. She went undercover for federal authorities to make 13 separate recordings in five different states, securing evidence and admissions that helped lead to the $760 million-plus Amgen global civil settlements and criminal plea in December 2012. The key roles that whistleblowers' attorneys Brian Kenney and Tavy Deming played in their client's eight-year case and their relator's compelling personal sidebar statement would never have been reported had we not executed an aggressive, effective and exclusive legal media relations effort. Civil, criminal, plaintiff, defense, when your firm has a client with a major case milestone approaching, PRforLAW, LLC can help maximize (or minimize) news coverage. Why? Richard Lavinthal is the only legal PR expert in the U.S. with legal media relations successes on all sides of legal matters: federal and state, civil and criminal, government and private practice. with the relator's compelling first-person story..
»As a reporter in the golden age of print journalism I sure tried to be a "bulldog"
My copyrighted article appears in one of today's leading PR industry publications, Bulldog Reporter. Their aptly named, "Daily Dog," is read by approximately 71,000 PR and communications professionals each month. On Bulldog Reporter's homepage, under "PR TREND WATCH," my analysis entitled, "Breaking News and Making News" contrasts the world of difference between conventional PR, legal or otherwise, and breaking news media relations. Employing a baseball analogy I note how conventional PR is constantly "pitching" feature articles to publications, websites, trade press, etc. But, when the chips are down and the game has to be won they call the ace relievers in from the bench. I'm always striving to be an ace reliever for my legal clients with their major case milestones to help them maximize or minimize news coverage for their clients, their cases, and law firms. 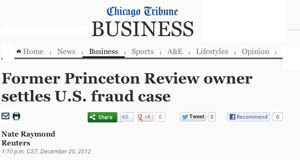 Princeton Review, for 46 months, falsely billed the United States under the "Supplemental Education Services" program, an after-school tutoring service for underprivileged students in underperforming schools. The Review's former owners agreed to repay up to $20 million. Reuters spoke with McInnis and quoted him in its A-Wire report that appeared in print and on websites accross the U.S.
PRforLAW, LLC will not be available from January 12th through 25. I do not expect to have telephone access. 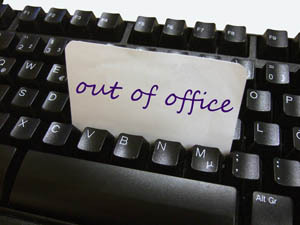 While I may be able to access email I will not be able to direct breaking news legal media relations for your firm/case. Could you have a major case milestone approaching soon after January 25th? If so, please call me ASAP at 202-596-1176 for us to discuss the potential and pitfalls and determine how I'll be able to help. When your firm and your client face an upcoming major case milestone you will have just one chance to influentially frame your breaking news message, to maximize or minimize news coverage, to advocate for your client, and to showcase your legal skills. And with literally hundreds of news delivery entities out there you must target the right media for your message. Conventional PR firms, big and small, do not have experience with breaking legal cases, an understanding of civil or criminal practice, or Richard Lavinthal's record decades of absolute confidentiality when matters are not yet public. Let a professional craft media relations strategy specifically for your civil or criminal case milestones on a per-project basis. Call PRforLAW at 202-596-1176 for a no-cost brief discussion of the possibilities and pitfalls in your upcoming case milestone. As a sharpshooting, "niche boutique" legal PR firm we concentrate on breaking news. Our assignments are short term and we do not seek long-term commitments. Our goal is to expeditiously and effectively publicize (or try to less-publicize) your filing, settlement, guilty plea, etc. and then move on to the next client, with a recommendation from your satisfied firm. "a frequent PR consultant on the plaintiff side of qui tam whistleblower settlements involving pharma." MedAd News, March 2011.